Depending on your plans, summertime might mean hiking, camping or generally enjoying the great outdoors and while most outdoor enthusiasts never come face-to-face with a bear, you should always be prepared when traveling in bear country. For advice on avoiding attacks and what to do when faced with one, we turned to Tony Nester, an expert on survival and head of Ancient Pathways Survival School. Bring bear spray. Nester suggests bringing bear spray and not relying solely on a gun. 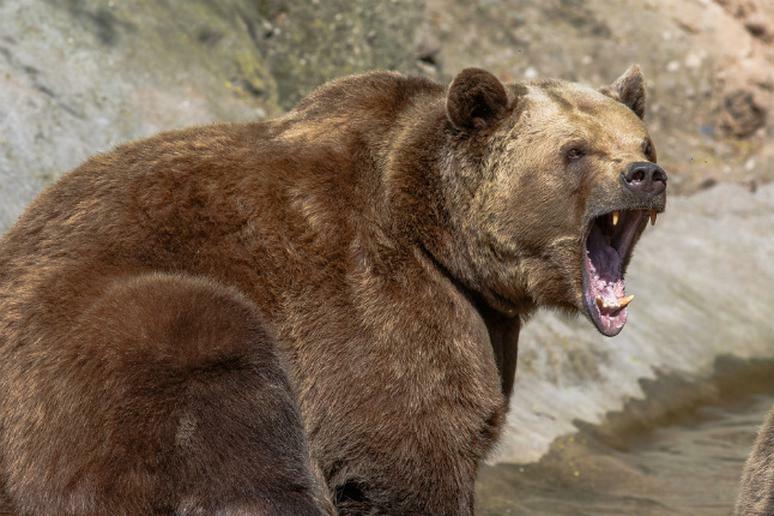 Not only could a gun be dangerous in a park with hikers and kids, but bears often attack quickly and a gun might be too tough to maneuver at a moment’s notice. Talk to locals. “There’s just no substitute for local knowledge,” said Nester. “So if you can talk to locals—rangers, wildlife officials, biologists, nature photographers, even hunters—before you head into bear country, that’ll save you a lot of headaches." Don’t cook where you sleep. Nester suggests stopping to prepare dinner early and far from where you’ll be sleeping that night to avoid the lingering smell of food. Store food away and out of reach. Either hang your food or store it in appropriate containers, says Nester. Know what kind of bear you’re dealing with. Black bears and grizzlies evolved in different environments, which means they each react differently to threats. If you can’t calmly walk away from the situation and the bear is becoming a threat, you need to know how to respond to each bear. If it’s a grizzly…“Avoid eye contact, which a bear will perceive to be a challenge. If the bear's not approaching, back away slowly. If it charges, simply stand your ground. If you have pepper spray, be ready to use it… and pronto. If it makes physical contact with you, cover your vitals and play dead.